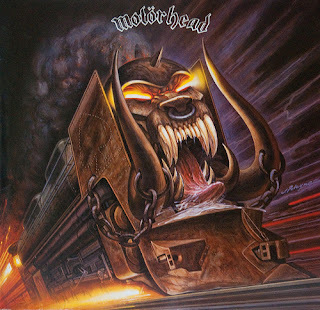 The seventh studio album finds Motorhead producing three solid tracks and surrounding them with six other songs that, while not exactly filler, contribute little. 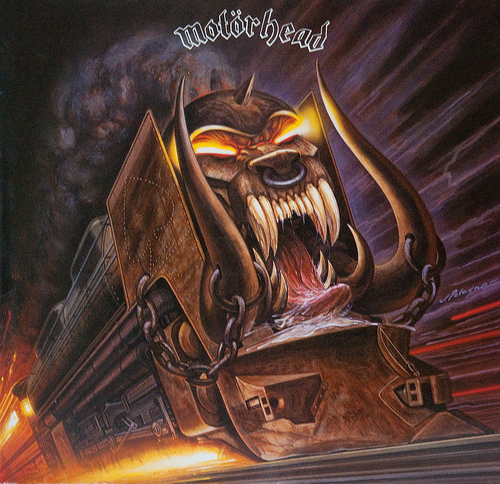 Now a foursome with two guitarists in Phil Campbell and Wurzel, Motorhead on Orgasmatron still sound exactly like Motorhead on most other albums: short compositions hurtling down the rails at extremely high speeds with certified faulty brakes. The exception on this album is the title track, Orgasmatron closing the record with a thoughtful and surprisingly authoritative mid-tempo groove that stays in control, Lemmy sounding very unlike Lemmy with a raspy, menacing tone. Orgasmatron is nothing if not monotonous, but it's powerful enough to maintain interest. The other two worthwhile tracks are undeniably brilliant. Opener Deaf Forever is a nuclear detonation of metal, Pete Gill's insane drums atomizing a large radius and creating the space for terrific guitar solo work. Built For Speed is as dazzling but more of a team effort, the band again finding the necessary controlled melody to govern their power, and building to some cut-loose infectious rhythm guitar work. The other six tracks on the album fill out the shortish 36 minute running length, with a blend of the competent and the average. Orgasmatron enjoys some good climaxes, but is generally a vaguely unsatisfying quickie.